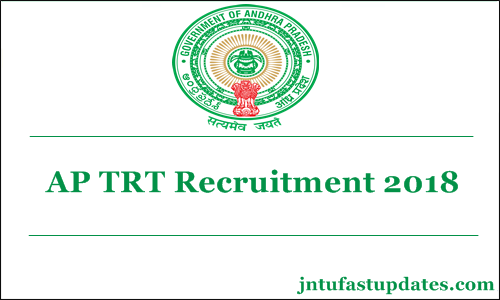 AP TRT Recruitment 2018: Commissioner of School Education Andhra Pradesh has released Recruitment notification for 211 S.G.T URDU posts. The application format is made available in website from 04.08.2018 to 14.08.2018. The eligible candidates can make application through online for recruitment to the backlog posts of Secondary Grade Teachers (Urdu Medium) in Government, Zilla Praja Parishad, Mandal Praja Parishad Schools and Municipal schools in the state. Applicant must have completed the minimum age of 18 years and must not have completed the maximum age of 47 years in respect of BC/SC/ST candidate as on 1st July 2018, and in respect of Physically Challenged candidates the maximum age limit is 52 years. SGT(Urdu) Post qualifications as prescribed in G.O.Ms.No.38, Edn., dated:19/11/2014 are given in the Information Bulletin. The applicants are informed to go through the Information Bulletin carefully and should satisfy themselves as to their eligibility for this Recruitment, before making payment of fee and submission of application. The applicants have to pay a fee of Rs. 250/- towards application processing and conduct of Limited Recruitment Test through payment Gateway from 03.08.2018 to 13.08.2018 and submit online application at the CSE website http://cse.ap.gov.in from 04.08.2018 to 14.08.2018. The step by step procedure for submission of application through online will be given in USER GUIDE on website (http://cse.ap.gov.in) which will be made available from 01.08.2018.